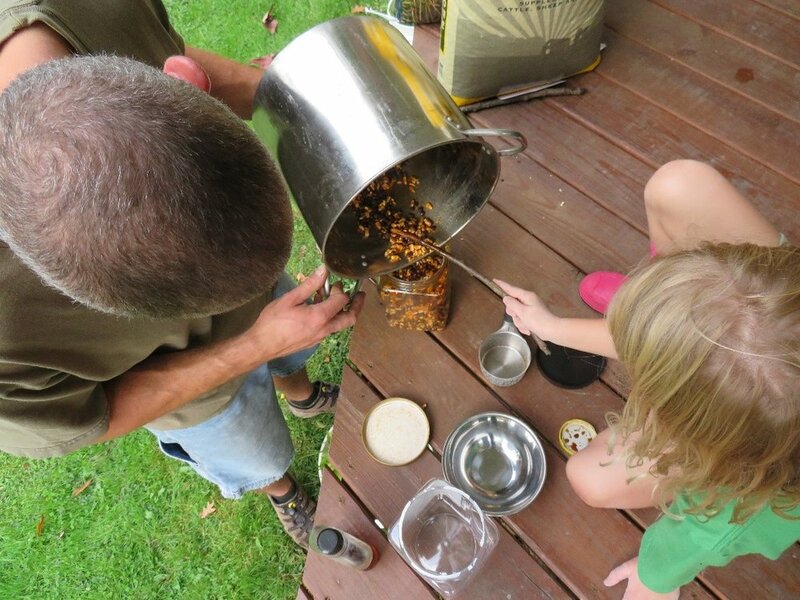 Raccoon trapping can be a fun and inexpensive way to introduce trapping to younger generations. By using dog-proof traps, the initial cost is low and the need for intricate trap setting and bedding methods are eliminated. The wide-ranging diet of the raccoon allows the trapper to easily make his or her own bait. The recipes are endless for making your own bait, I have a few reasons for using this one. The main reason is the ability for this bait to hold up in rain. Face it, rain is an obstacle that all trappers face, but both shelled corn and floating catfish food are naturally water resistant. Having the ability to not turn into a puddle of mush on the first rainy night is a good quality to have in a trapping bait. If needed, the bait could be “spiced back up”, after a rain, by adding a little squirt of maple syrup or even a shot of fish oil. So let's get to it! 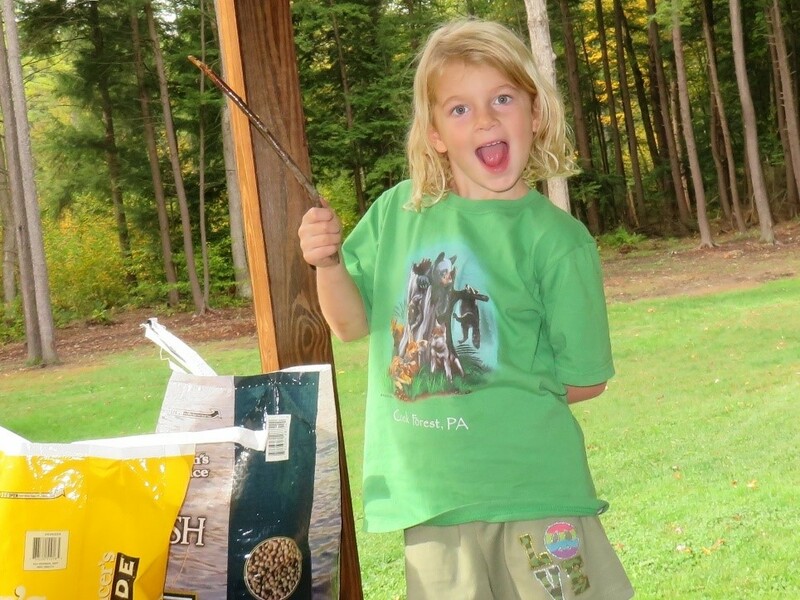 Here is a description of the bait that my daughter and I made for our dog-proof traps. Stay tuned for an update on the progress of our raccoon line. 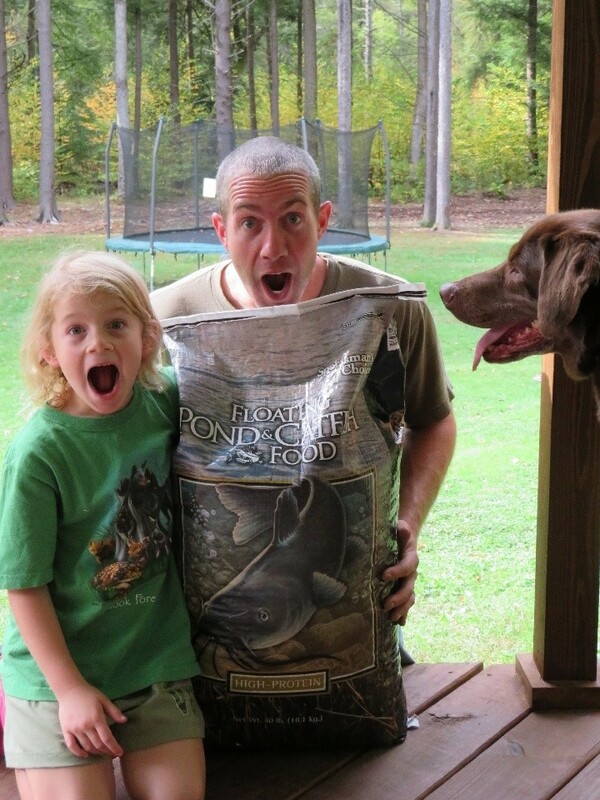 Nothing more than a few bucks and a trip to the local Tractor Supply store and we were on our way to making homemade dog-proof bait. We filled the cart with a bag of shelled corn and a bag of Floating Pond Catfish Food. We made our purchases and headed home. The process began as we laid all of the essentials out on the deck. We layered equal amounts of corn and catfish food in our storage container to ensure we had the correct quantity. The mixture was then placed in a large mixing container. First the molasses was added, and then the maple syrup. After the mixing process, the finished product was then placed back in the storage containers until it was time to put it to use. You might be able to see that my assistant and I had a blast just making the bait. It was a fun way to spend some family time together and also get ready for the line. Again, stay tuned in order to see the bait in action!